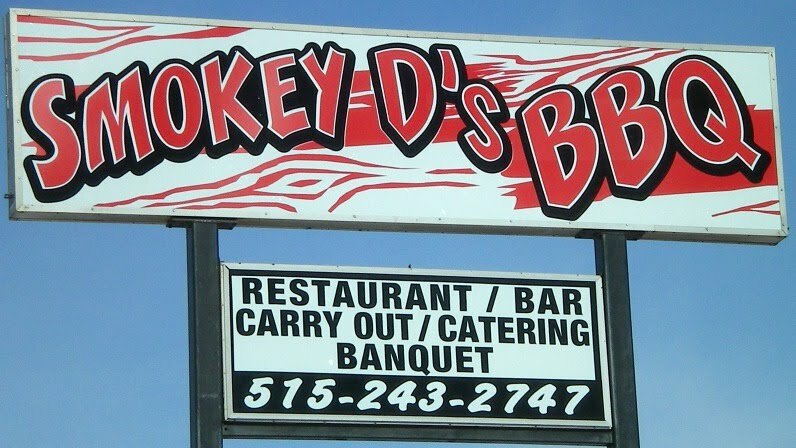 Smokey D's is the BBQ and catering empire that grew out of a competitive BBQ team run by a central Iowa native that has won trophy after trophy across the country. The catering empire used to be based from a warehouse just north of here, with a walk-up counter and waiting area cluttered with competition trophies just sitting on the floor. The new location opened up around the same time the owner's BBQ team "A Boy and his BBQ" won the final round of BBQ Pitmasters on the TLC Channel. 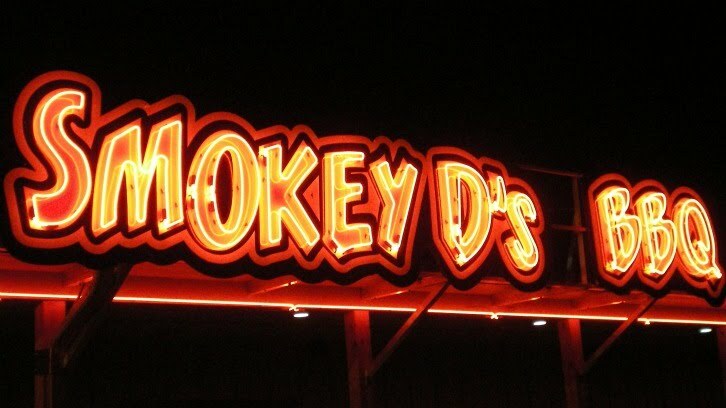 Later last year, a local food writer named the partners who operate Smokey D's as Restauranteurs of the Year in Des Moines. Location: 5055 NW 2nd Street in Saylor Township just north of Des Moines. Directions: Its right north of the 2nd St. offramp of I-80 on the north side of Des Moines beside the Harley Davidson Big Barn. 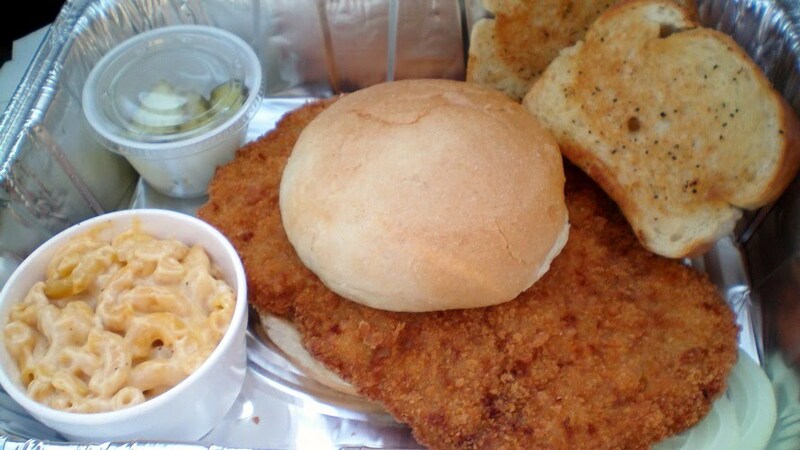 The Tenderloin: I have had three of these and each has come in a different shape. The pictured one has the classic butterfly cut into something resembling a "mitten". The mass feels like a little over eight ounces, and be too large to fit in a usual to-go container. Served with pickles and onions on a toasted bun. 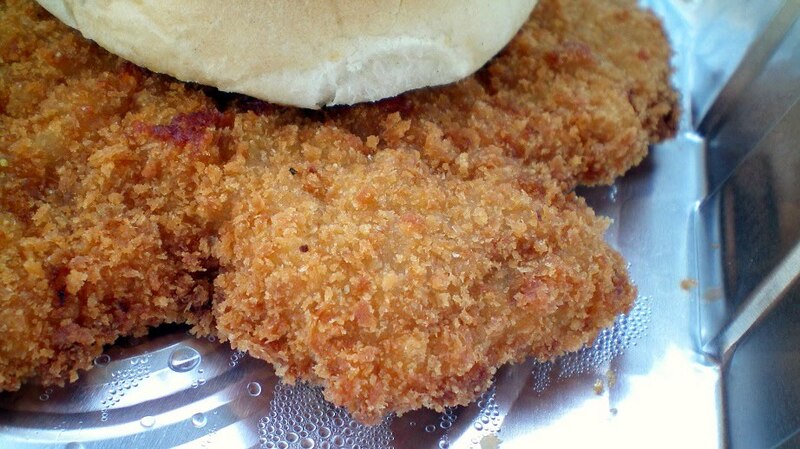 The breading feels like some fine bread crumbs, and forms a consistent texture that I hope is visible in the close-up photo. You can see little bits of seasoning above the white pork loin. The meat itself is chewy tender, with a good amount of juice inside. Let the record show that I prefer my tenderloins with Russ & Frank's Fiery BBQ Sauce under the bun. Overall 8.27 out of ten. 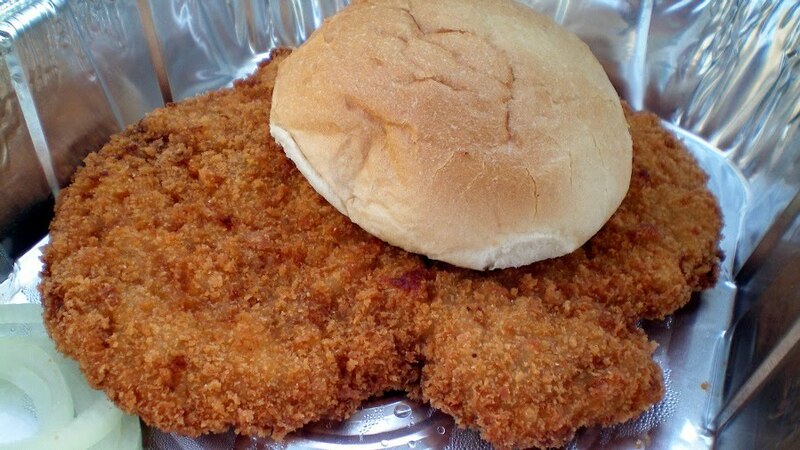 The Farm Boy: This is best described as a breaded pork tenderloin with two slices of bread, about a pound of seasoned fries, smothered in gravy, and topped with bacon and cheese. 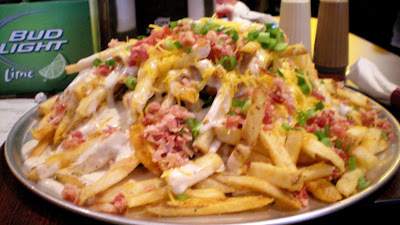 The fries have a ton of salt thrown on top of them, and the flour in the gravy makes the whole thing just a little too thick with mountains of fried potato getting in the way of the tenderloin. By the time you are done digging and find the loin inside, your taste buds are basically dead. Served on a platter. It bears a slight resemblance to the "horseshoe" sandwiches of Springfield Illinois, which are built on slices of white bread topped with french fries and a melted cheese sauce. I simply can't recommend this thing to anyone. Price: $12.79, listed on the BIG D section of the Menu. Also on the menu: The menu stars with the BBQ basics of pulled pork, brisket, ribs with the usual sides. The new location has expanded the offerings with fried stuff, and a daily comfort food special. 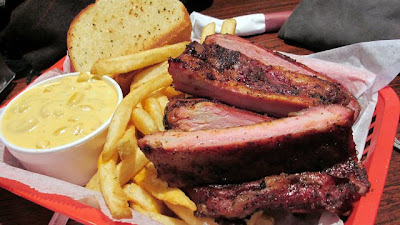 Ribs come in a platter with a half rack and two sides for a low price of $11.99. 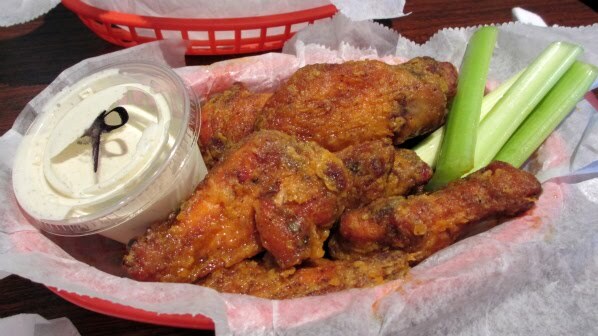 The dry rub adds enough flavor on the surface to avoid needing any sauce. 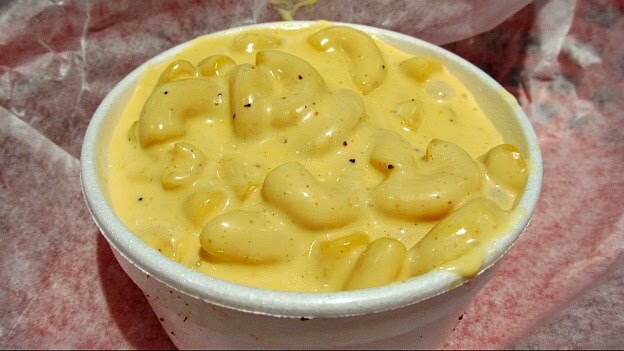 The Mac and Cheese takes a pretty basic mixture but pumps in something like the same spice mixture found on the Garlic Bread or in the dry rub and other parts of the menu. I really don't know why they decided to bread the wings they are smoked and fried before saucing. They come in three varieties, even though there are five different BBQ sauces at each table. The ranch dip tasted like they added something to the regular spices. Service: Order at the counter after waiting in line, which passes a bunch of trophies and a signed picture of Guy Fieri. The food is brought to your table. There is a separate entrance and counter for to-go orders. Ambiance: As recently as two years ago, this building was a dump of epic proportions known as Stagecoach Spaces with a busted sign visible for miles. It was rented out for events like poker tournaments, and I think I know someone who went to a rave with techno music, glowsticks, and lasers lights here. The renovation has been enormous, as parts of the building were falling apart. Half of the building is a Harley Davidson retail space. The dining area has a full bar along with counter seating, booths, tables and flatscreen televisions visible from any angle. Honestly I preferred the walk-up old location with the picnic tables outside in the gravel parking lot. Final Thoughts: There is a long list of Championship Competitive BBQ masters who have failed to translate their success into operating a restaurant. 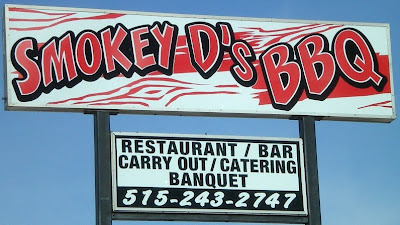 Its also no secret that the Central Iowa BBQ Restaurant scene is a little crowded right now, with over thirty restaurants advertising their offerings as "BBQ". Smokey D's has grown over the years, and the new location is a big expansion from the last incarnation. My visits to the new location have found more people in line than actually sitting down and eating. I hope the highway crowds keep coming for the BBQ and the tenderloin.